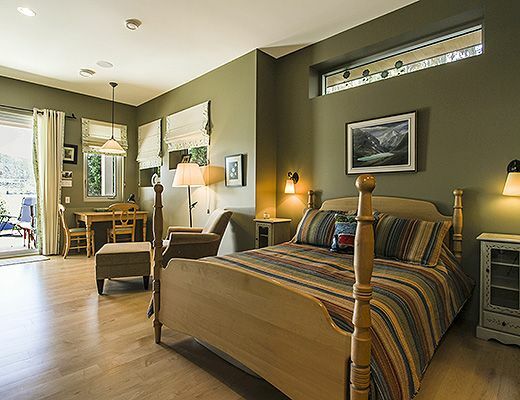 Raise your expectations this summer with a vacation at The White House. 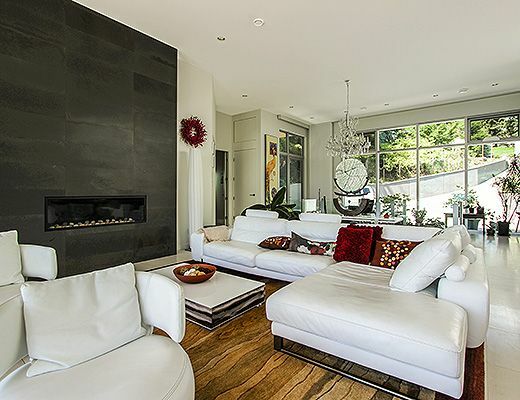 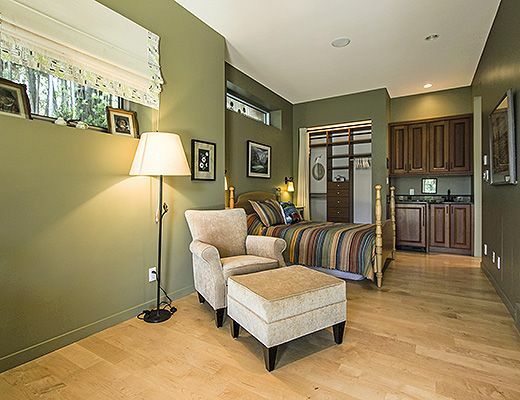 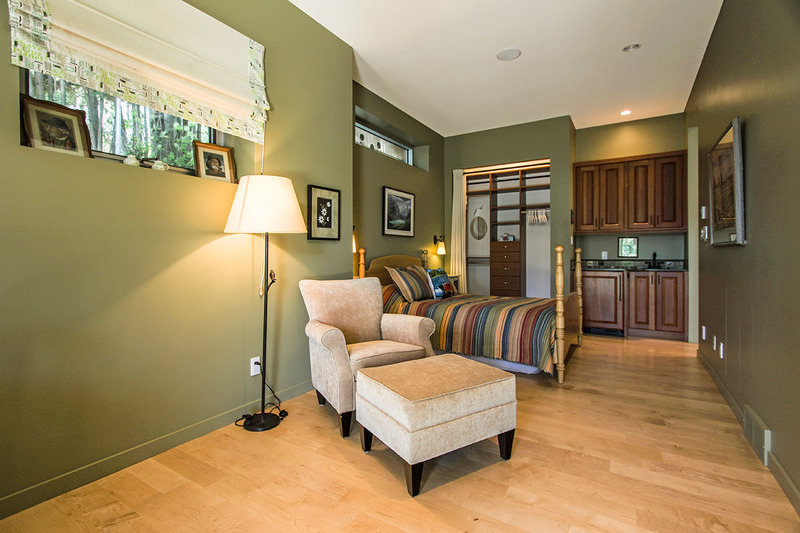 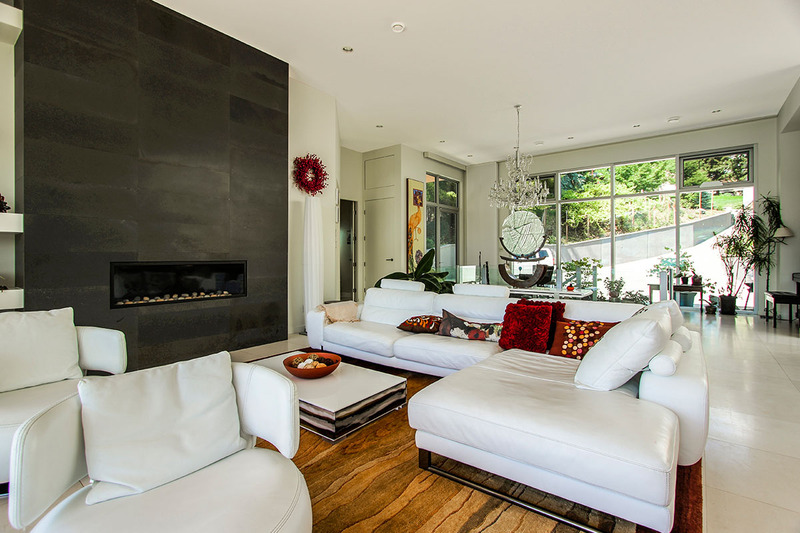 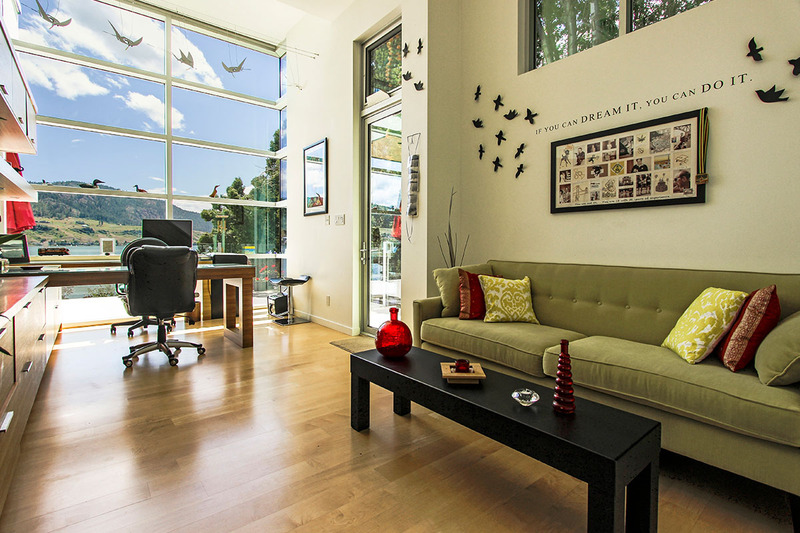 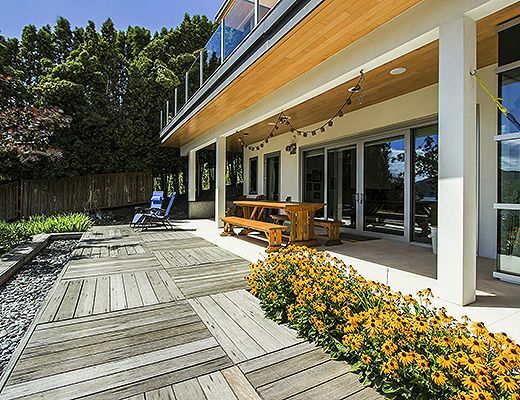 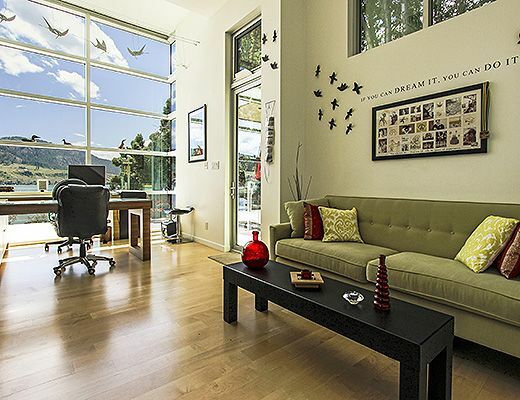 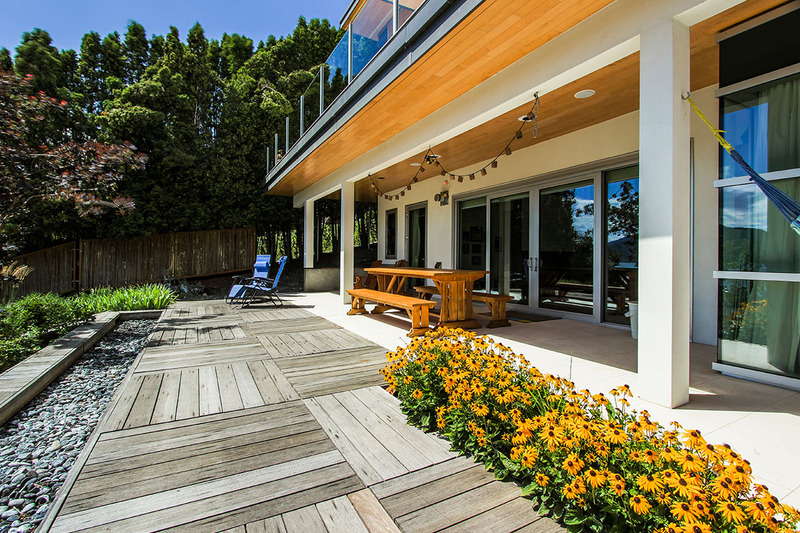 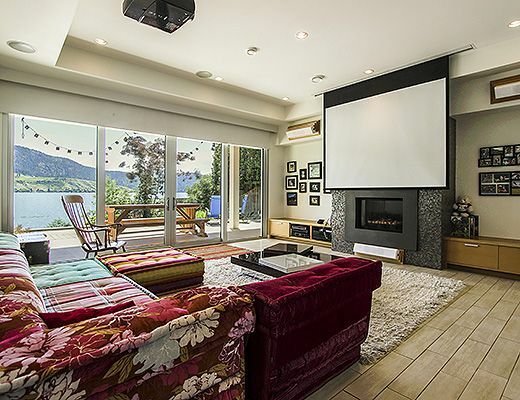 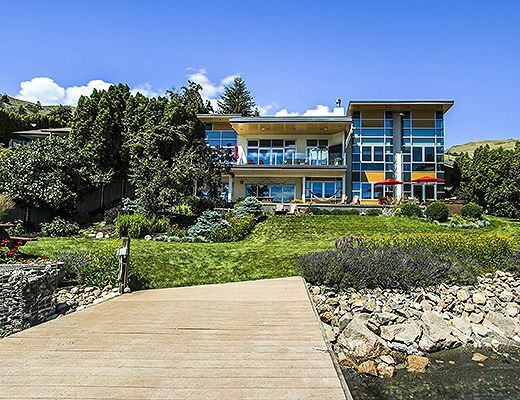 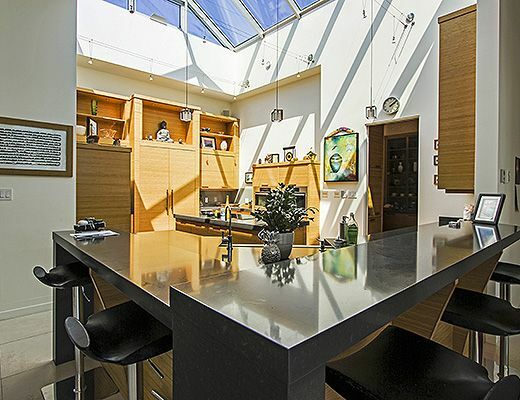 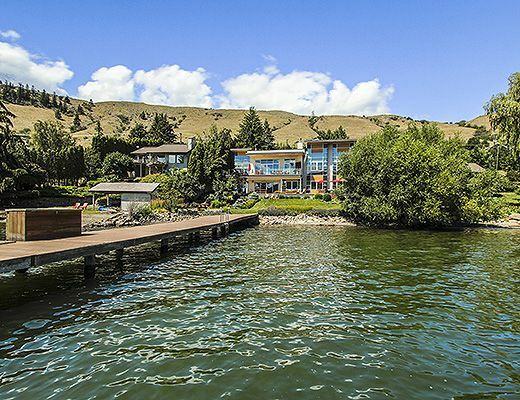 This stunning 4 bedroom lakefront home offers a modern escape full of premium amenities. 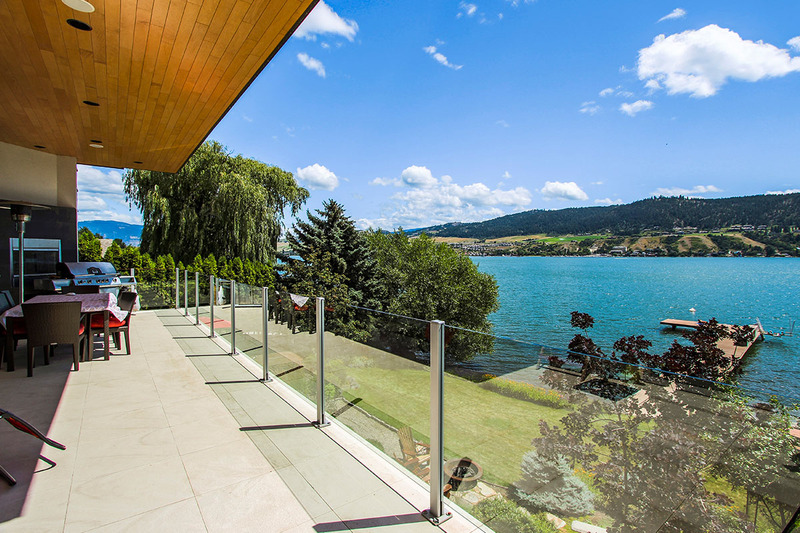 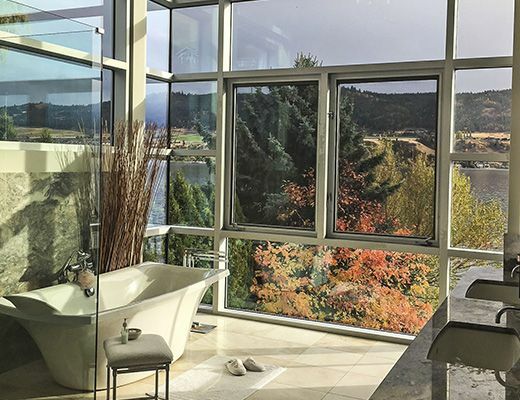 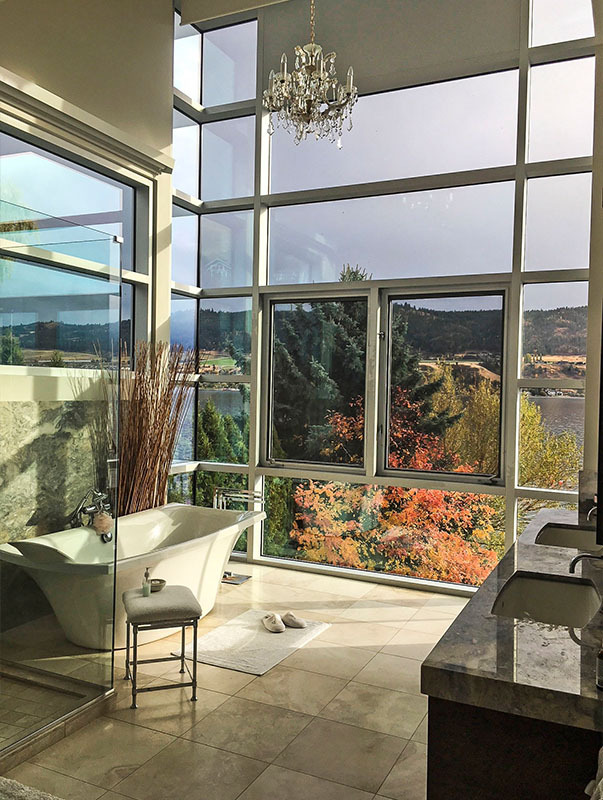 Walls of glass provide expansive views of the lake from every room on the main floor. 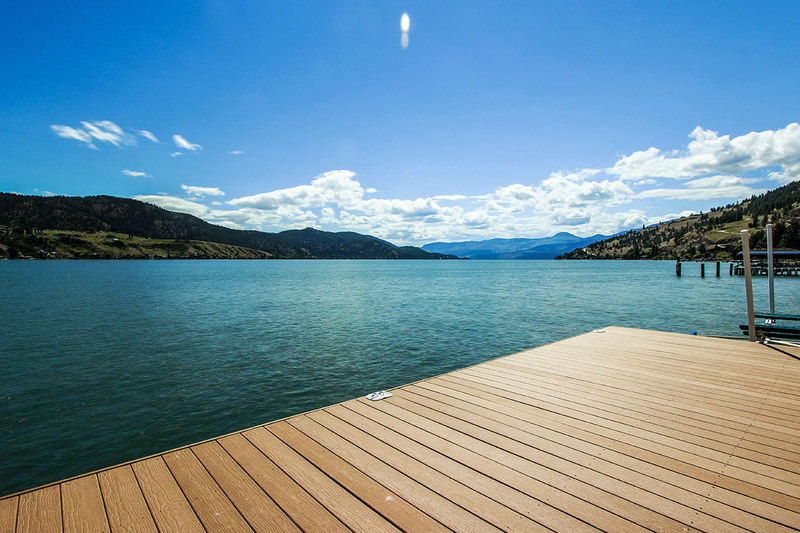 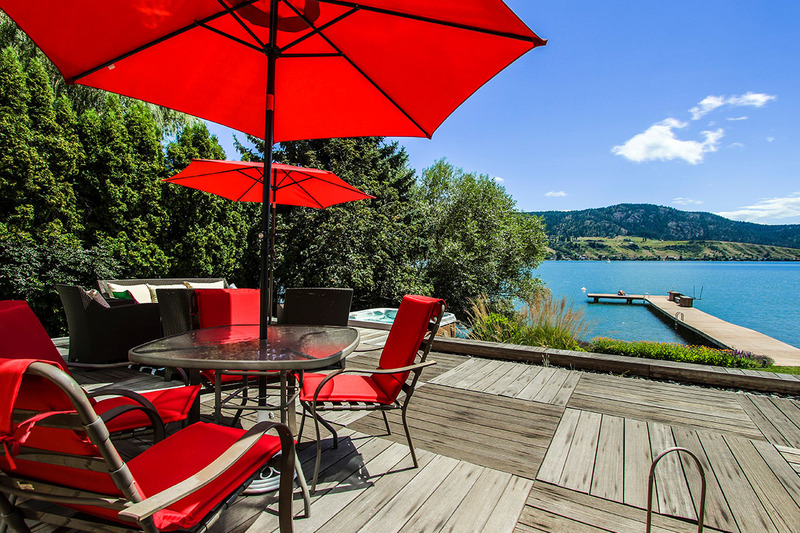 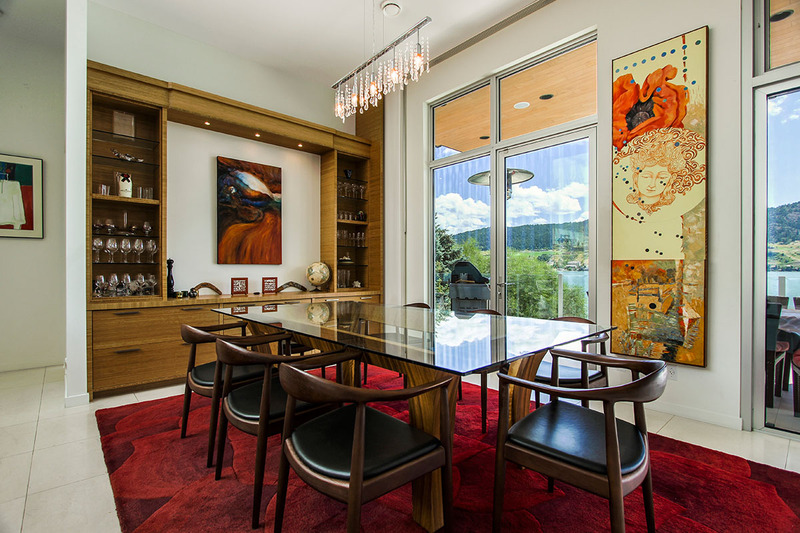 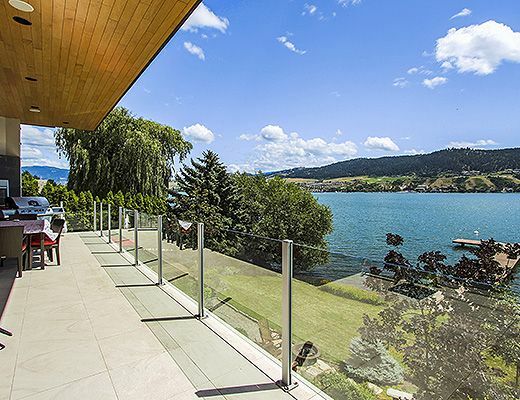 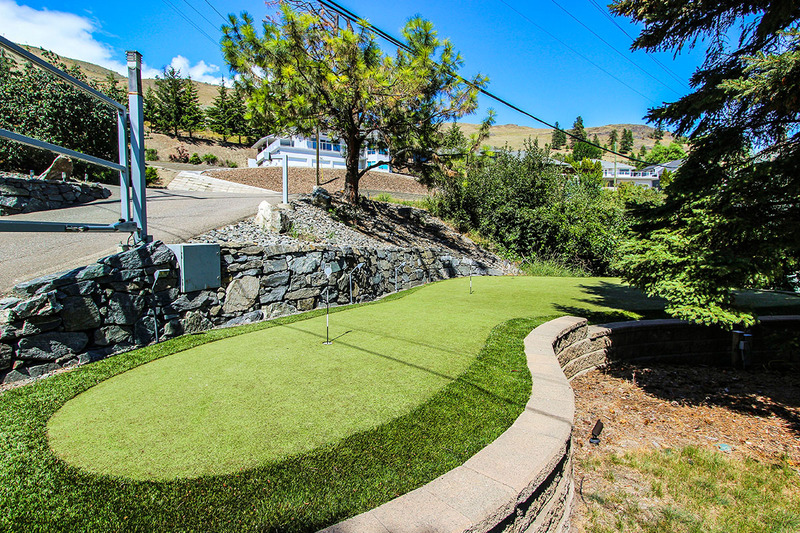 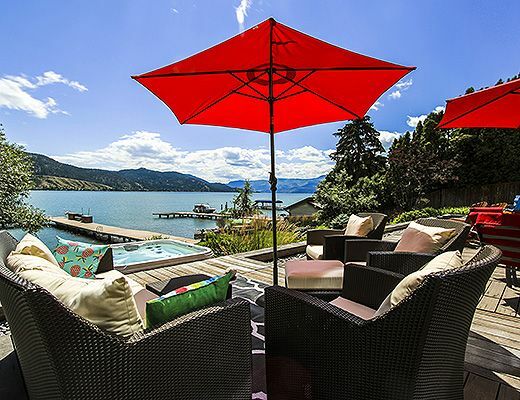 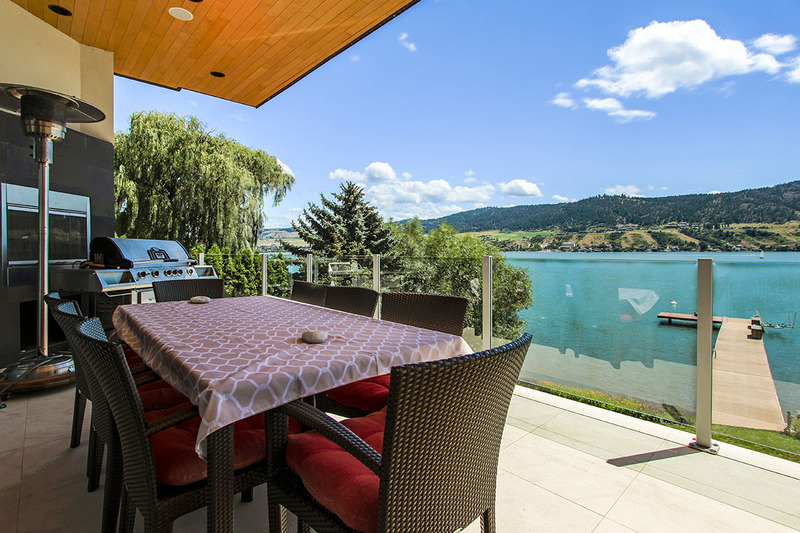 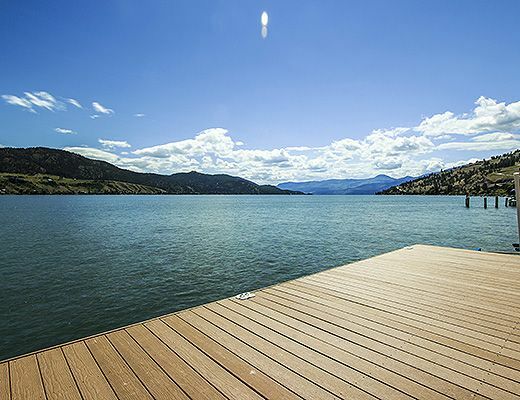 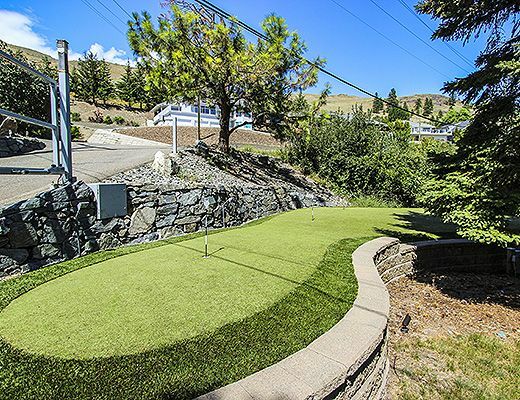 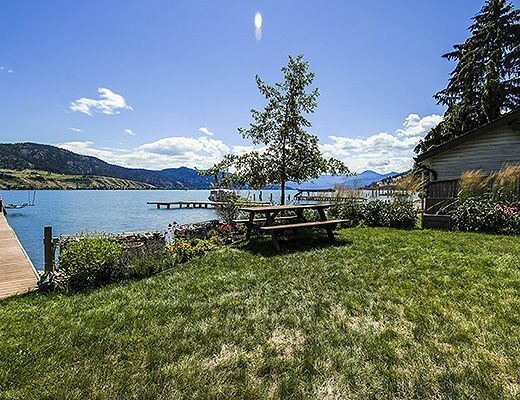 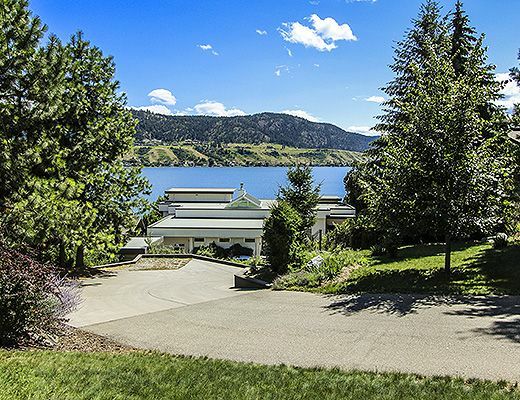 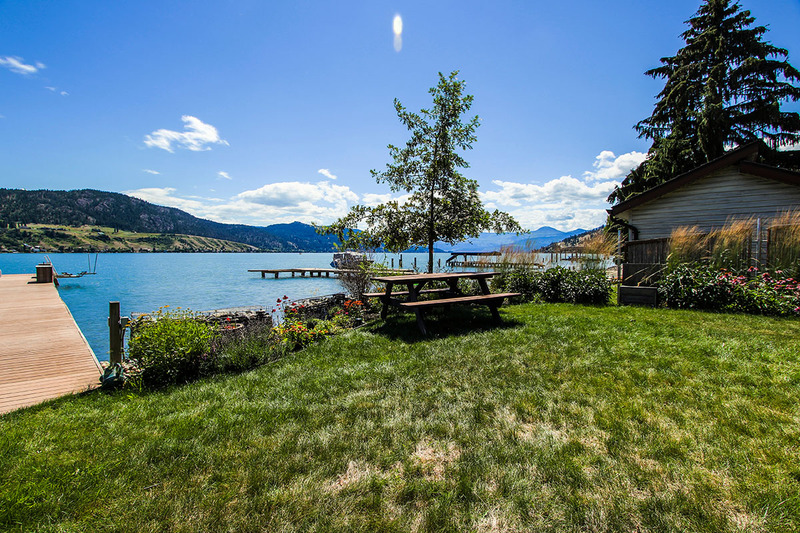 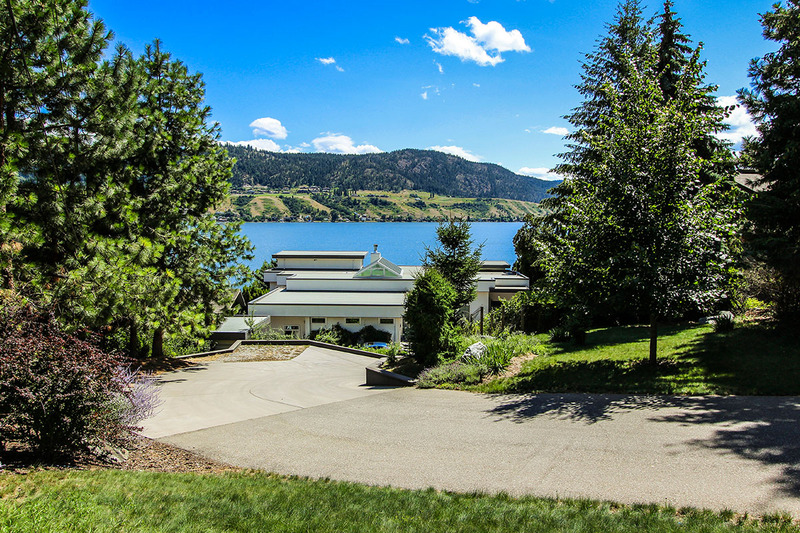 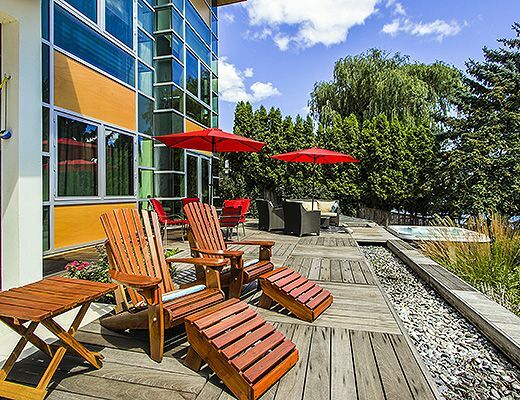 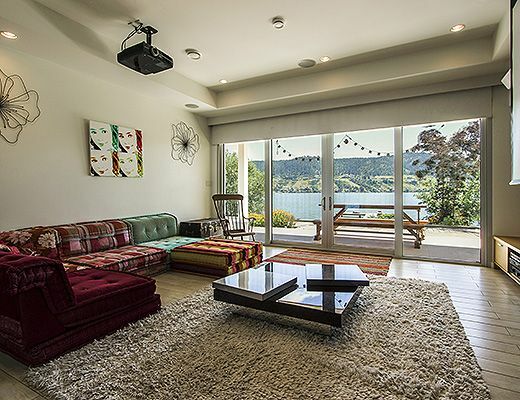 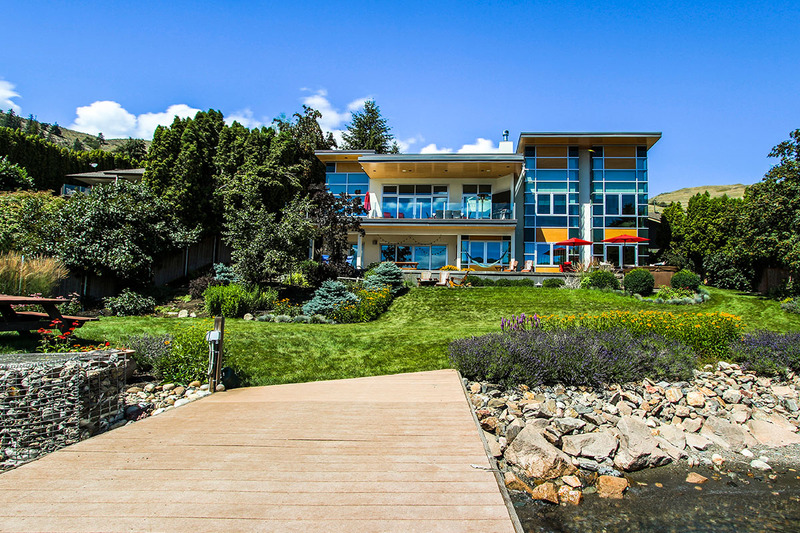 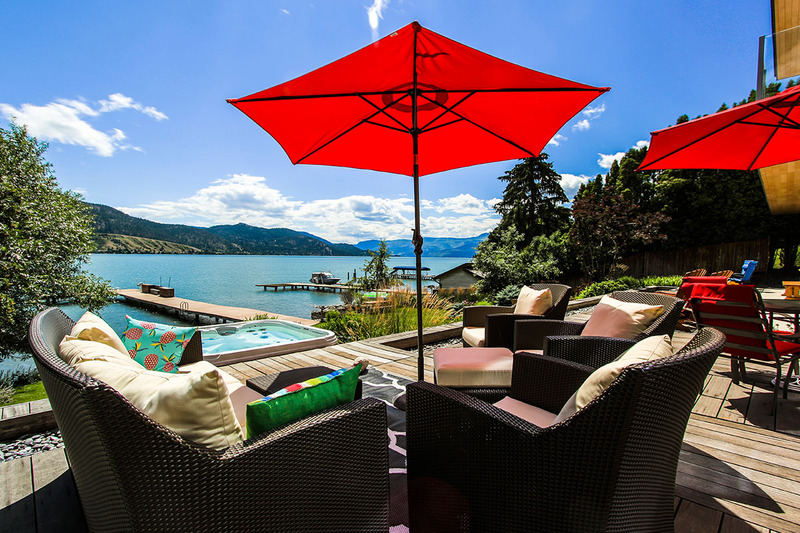 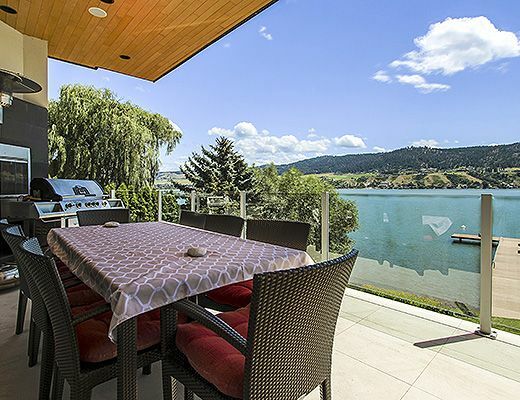 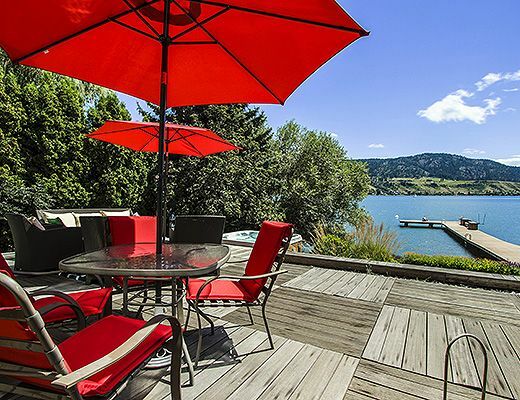 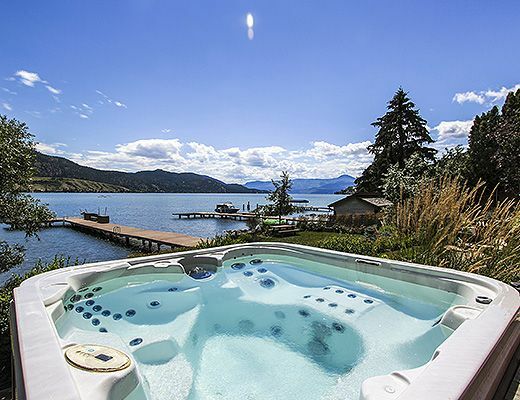 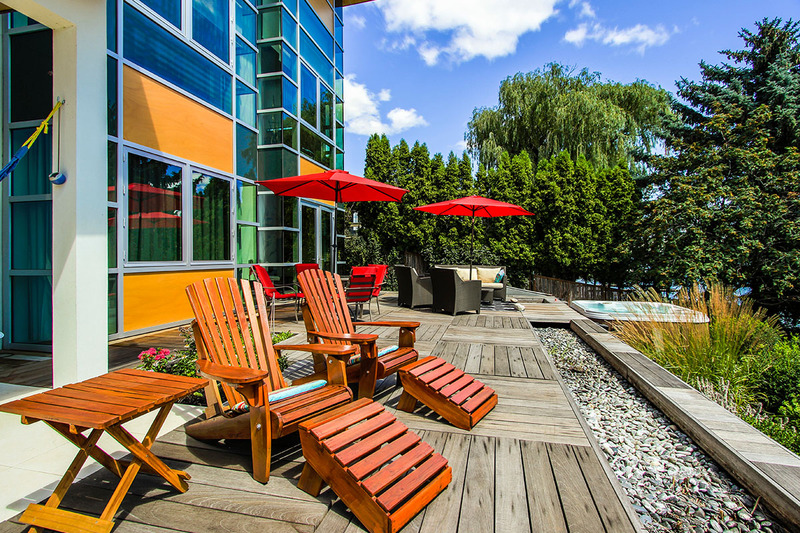 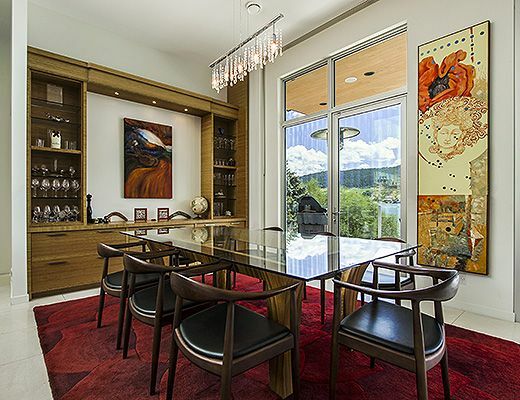 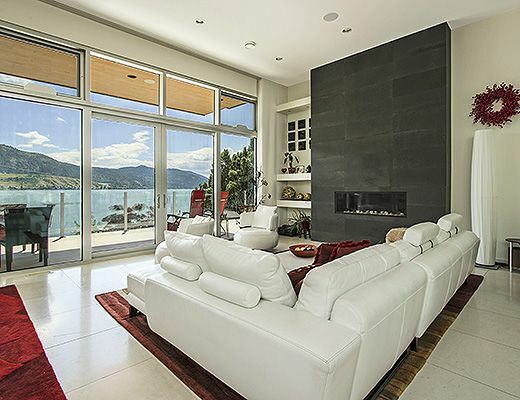 Guests enjoy a pristine stretch of beach front on Okanagan Lake, complete with a dock and tie-up buoy for boating enthusiasts. 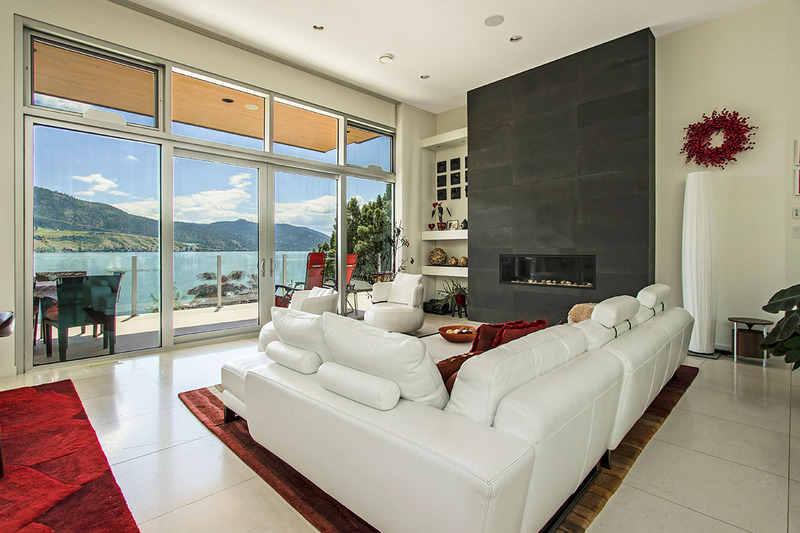 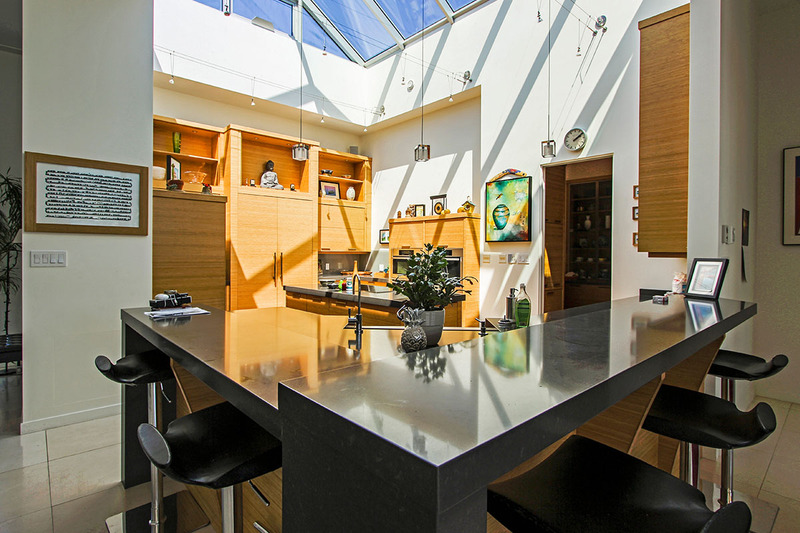 Them main floor consists of a spacious great room with glass walls and each side. 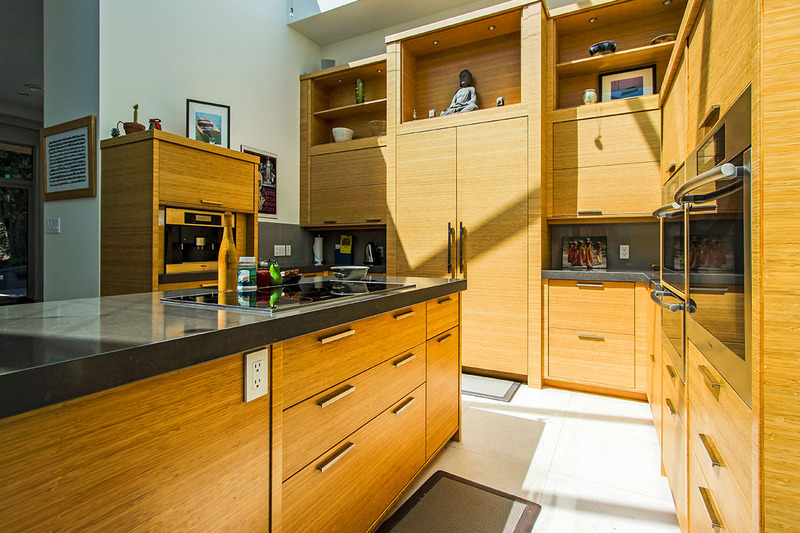 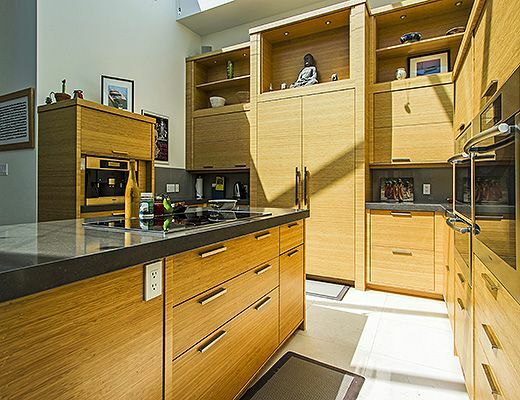 The custom built kitchen is complete with top of the line stainless steel appliances including a dual oven and built-in espresso machine. 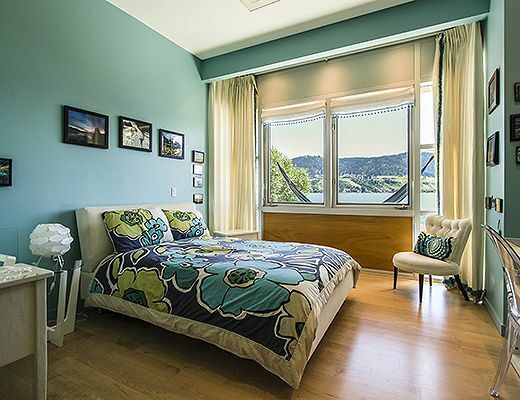 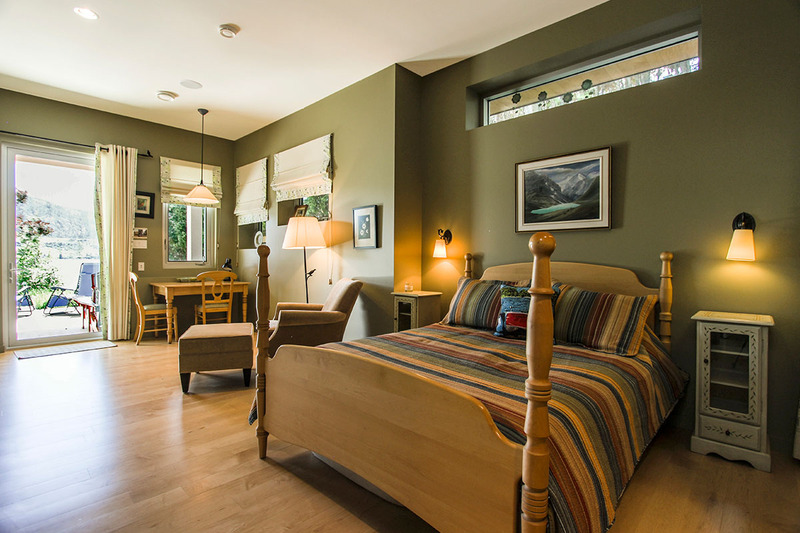 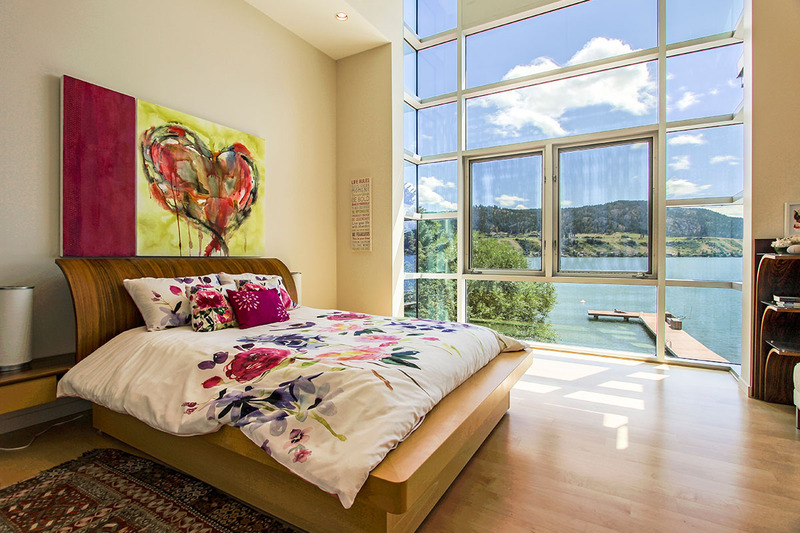 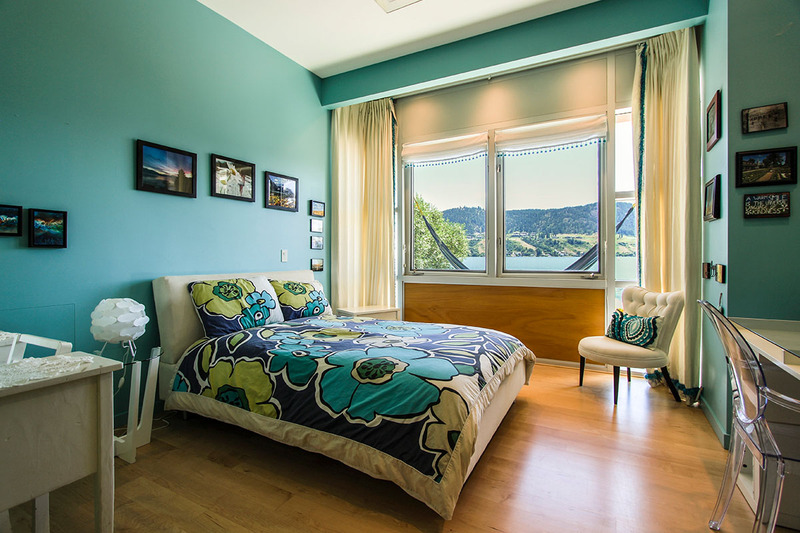 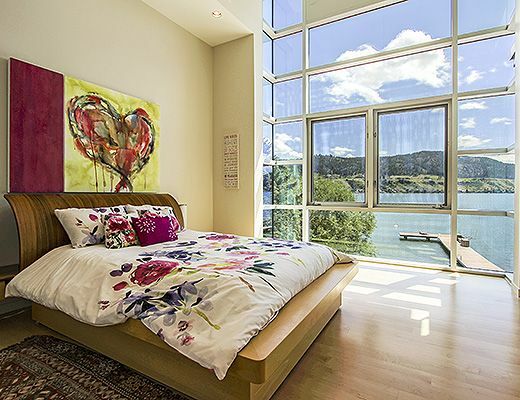 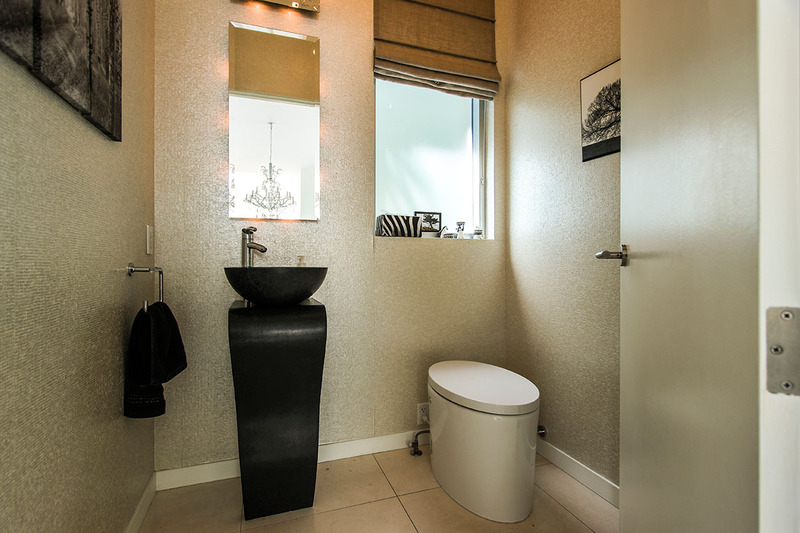 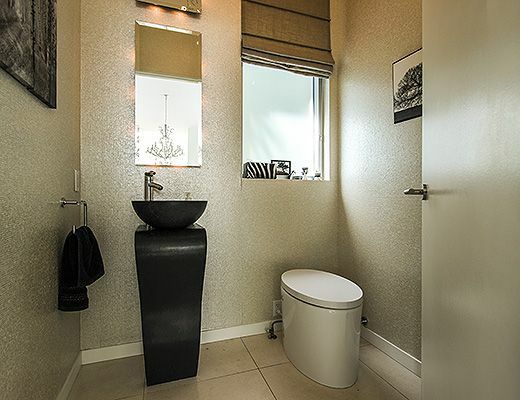 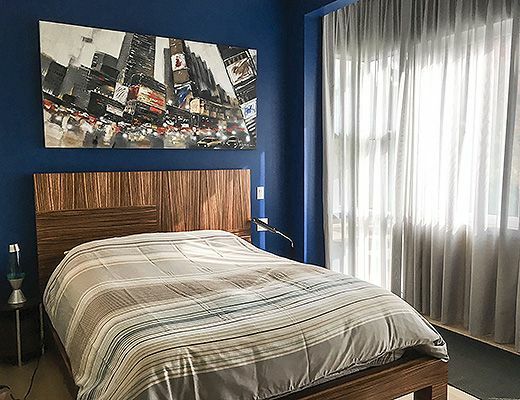 The main floor also houses the master bedroom, which enjoys a breath taking lake view and private ensuite. 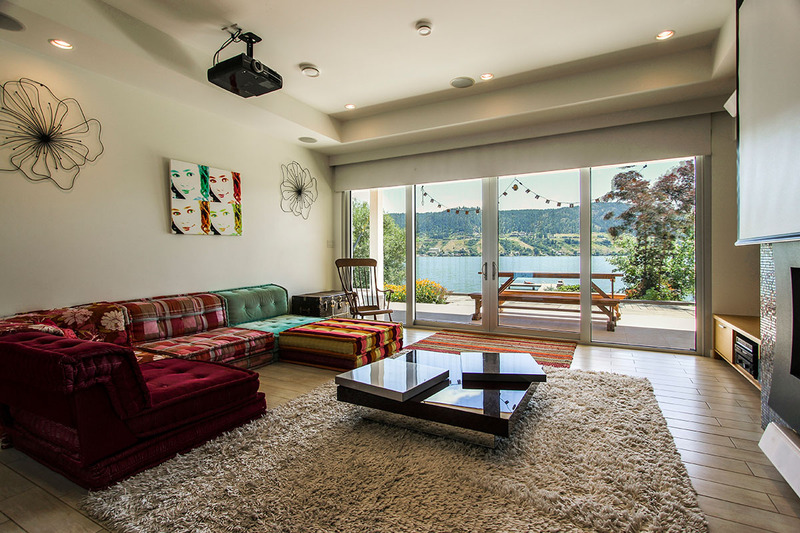 The lower level includes a spacious rec room with comfy seating around a fireplace and projector screen, as well as 3 bedrooms, each with a private ensuite and lake view. 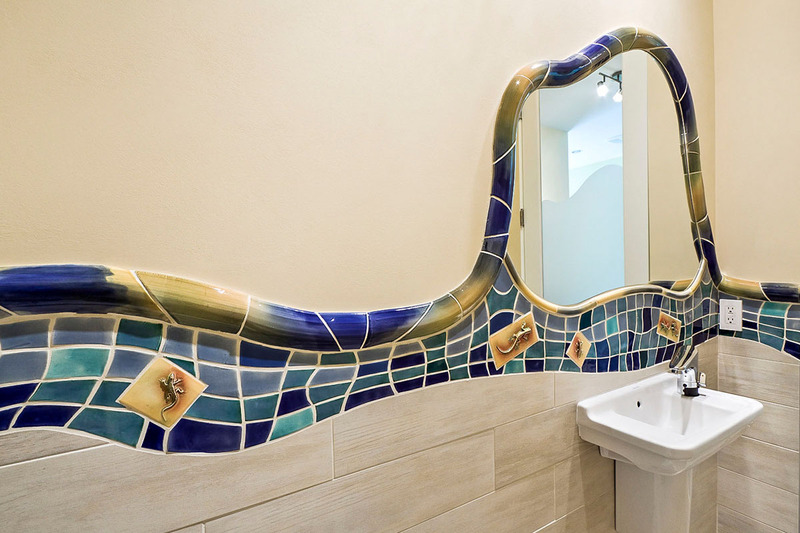 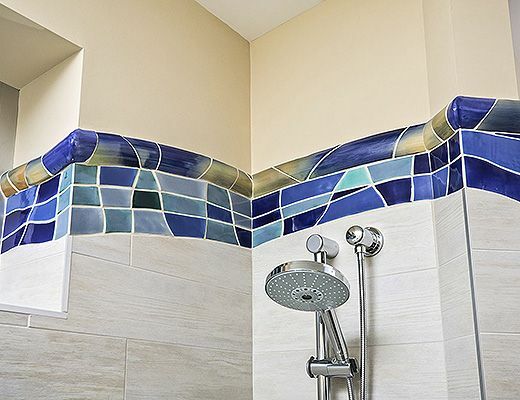 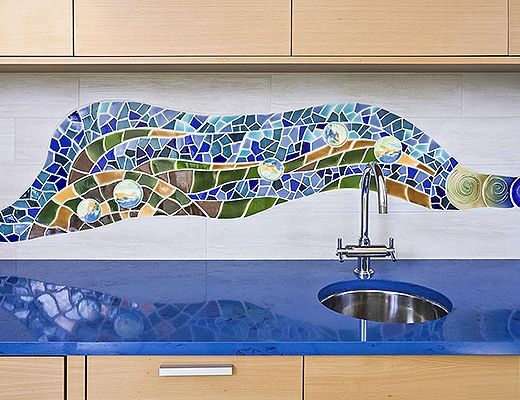 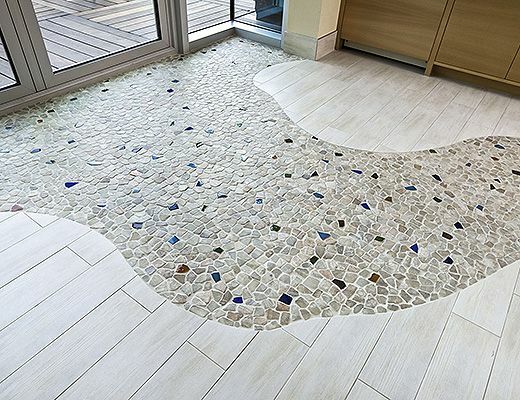 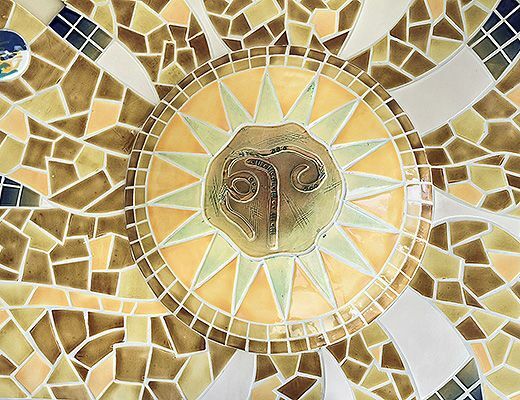 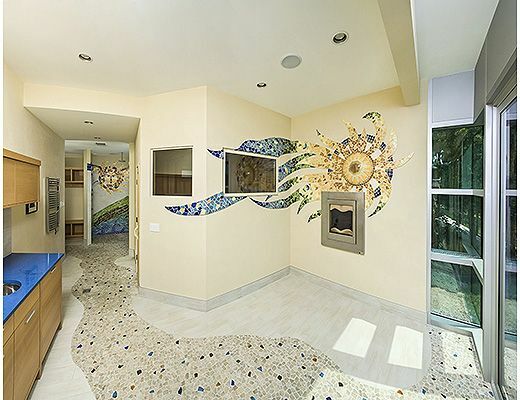 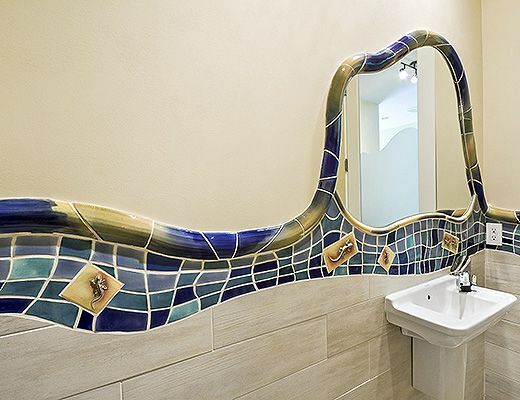 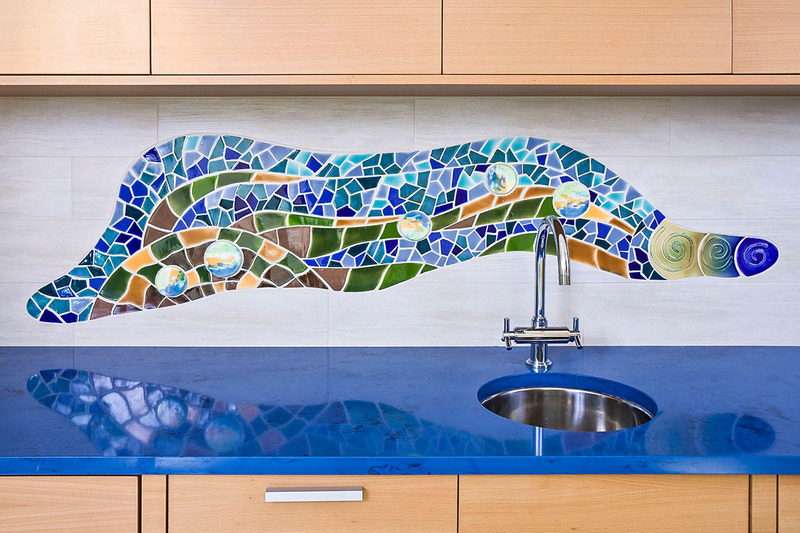 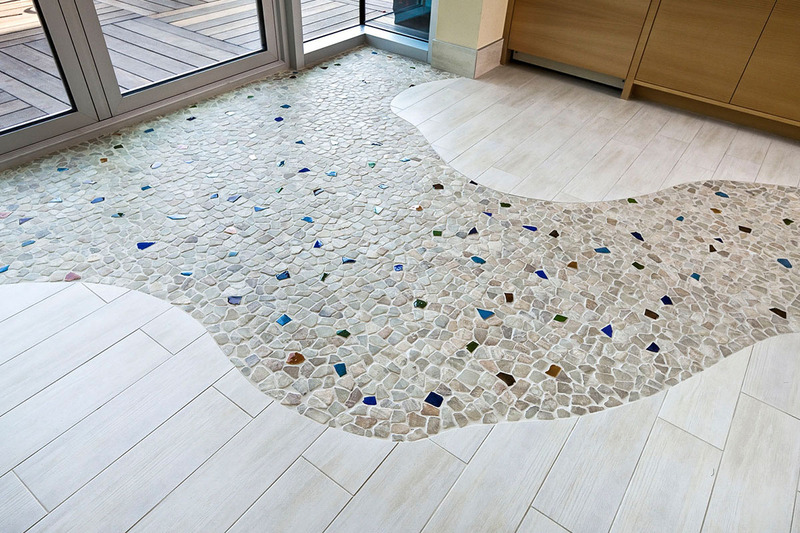 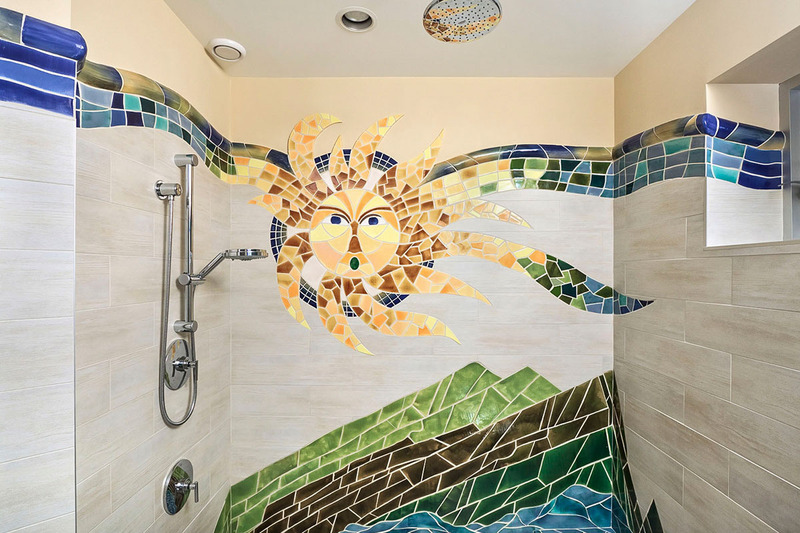 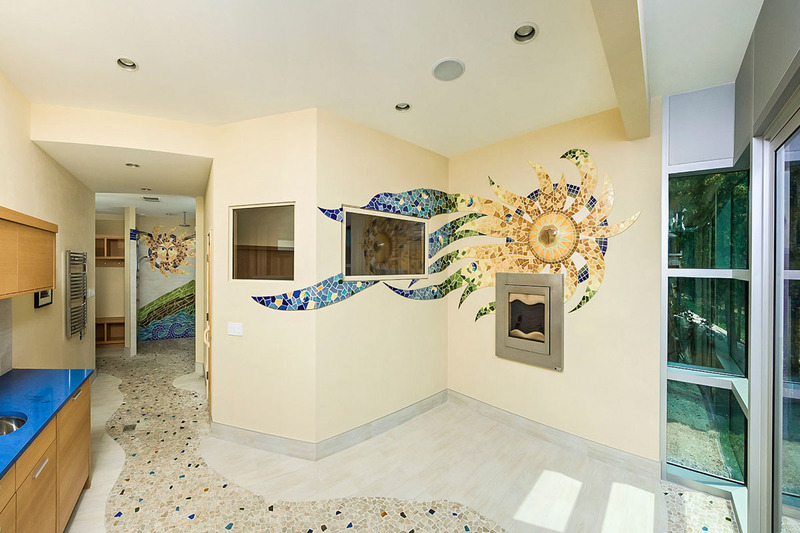 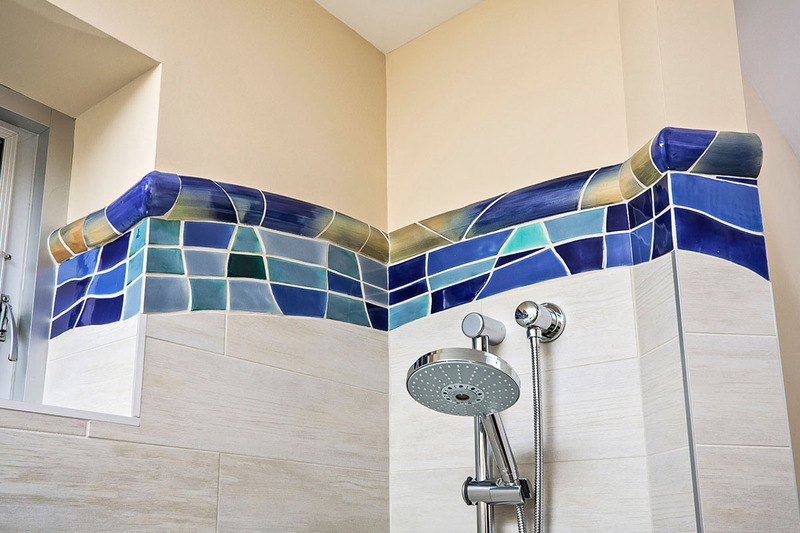 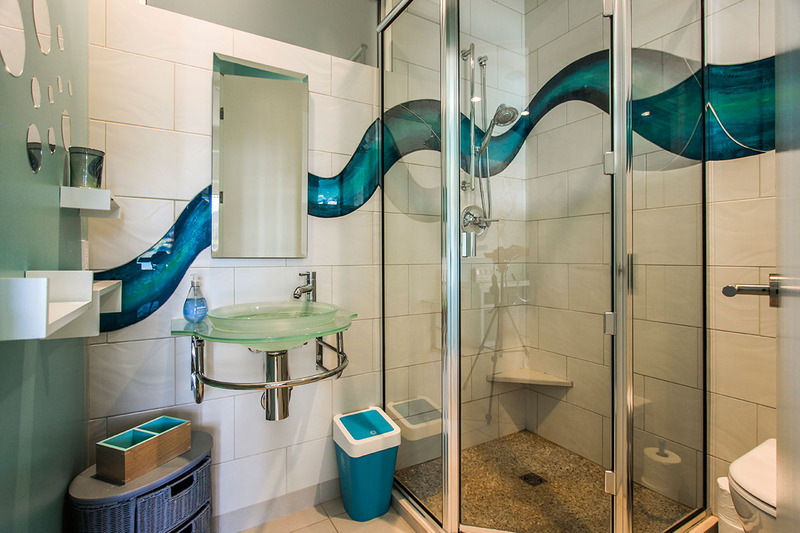 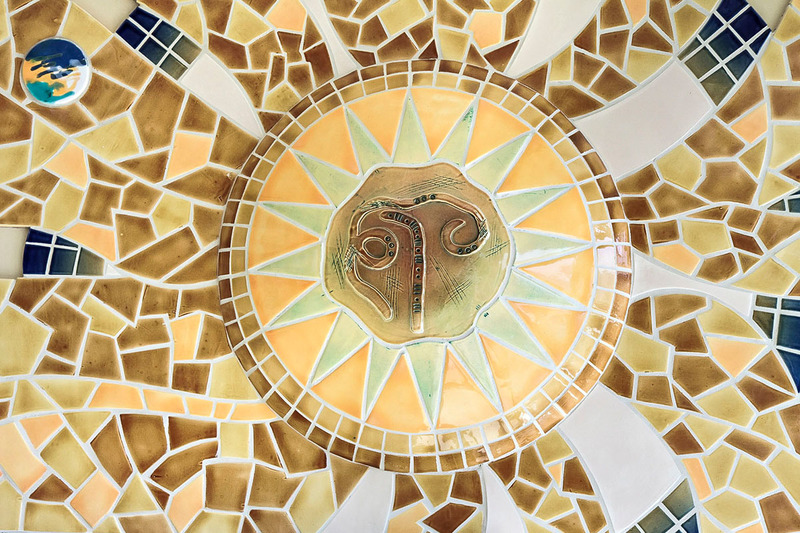 This level continues to the spa area which is decorated with immaculate tile work. 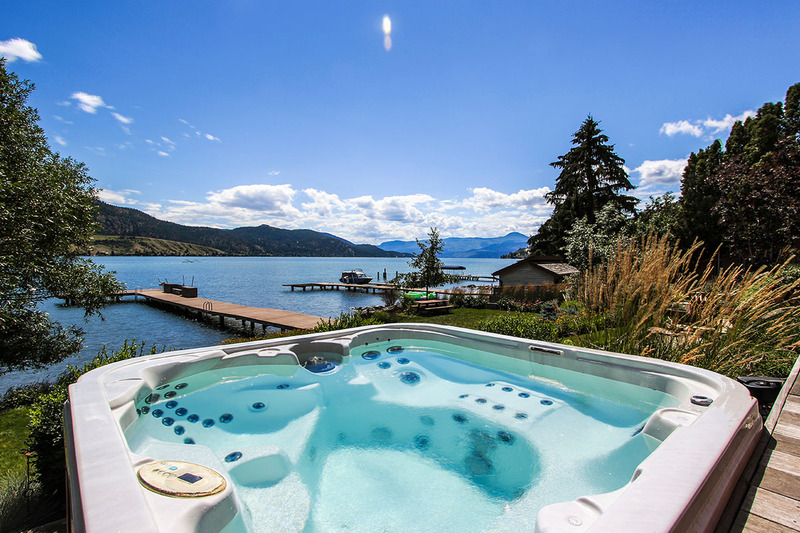 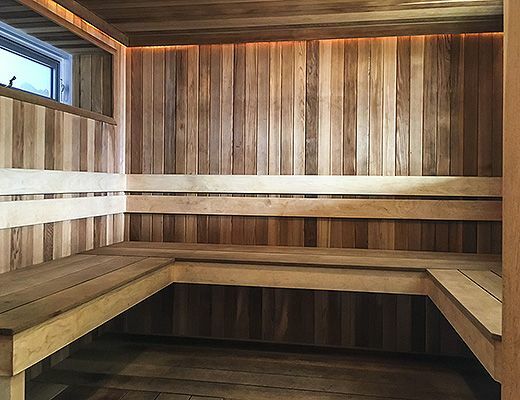 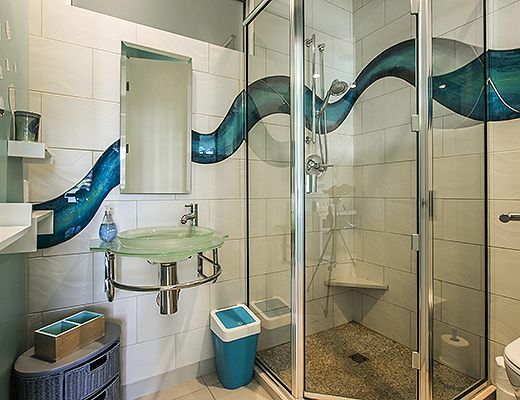 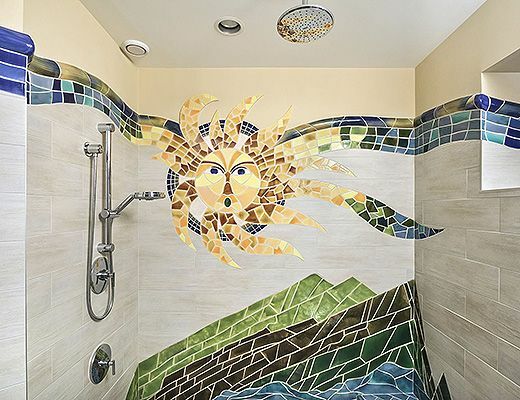 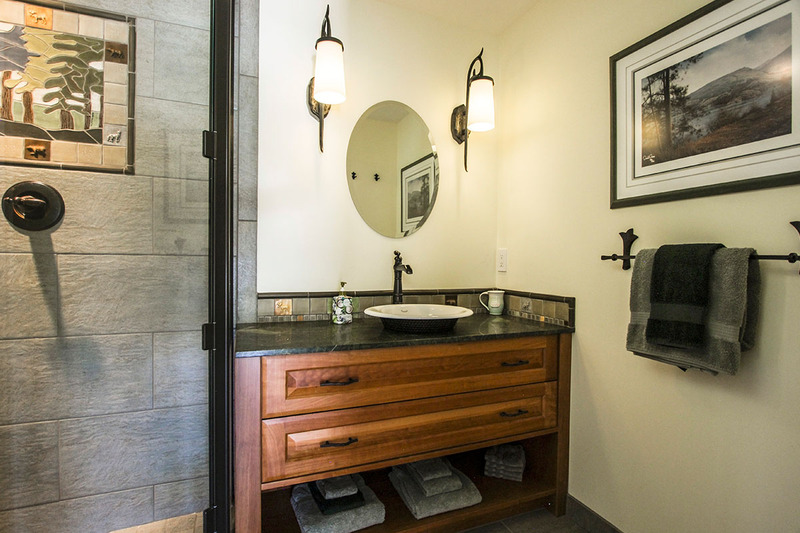 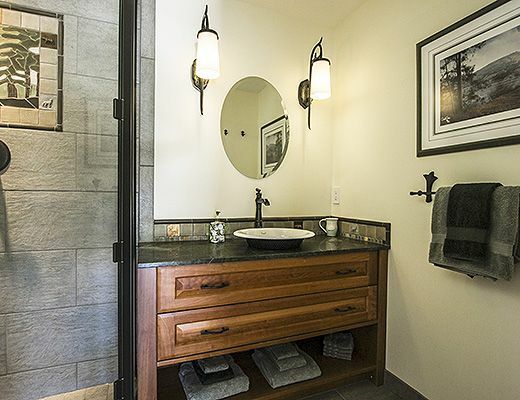 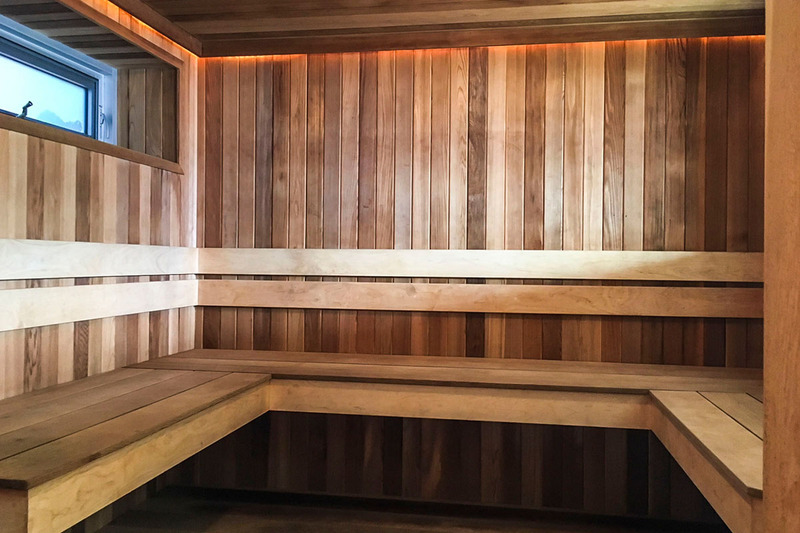 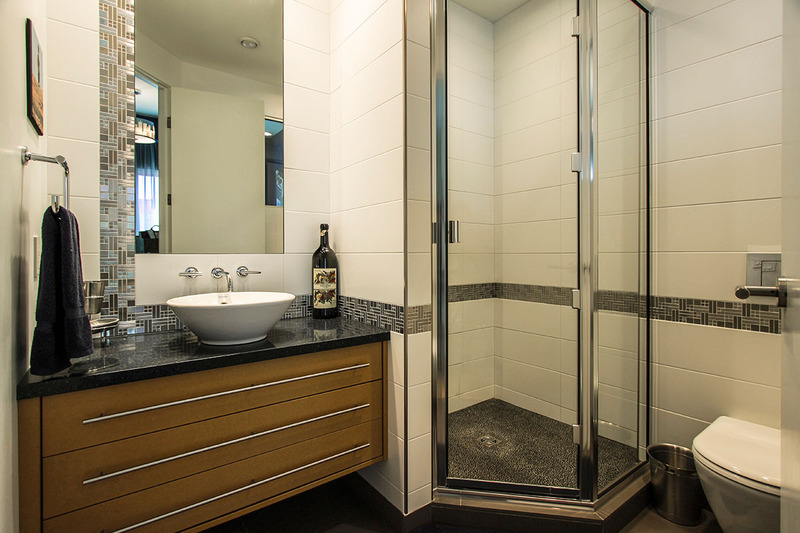 Relax with the help of the hot sauna, rain forest spa shower and private lakefront hot tub. 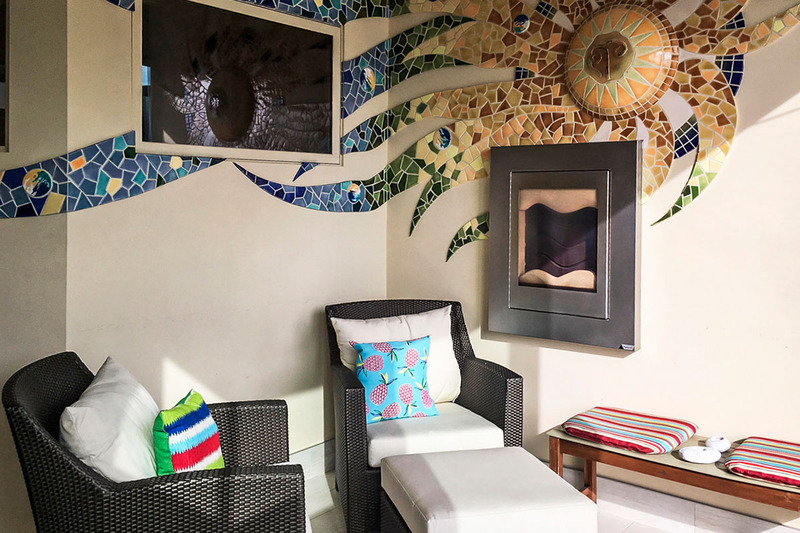 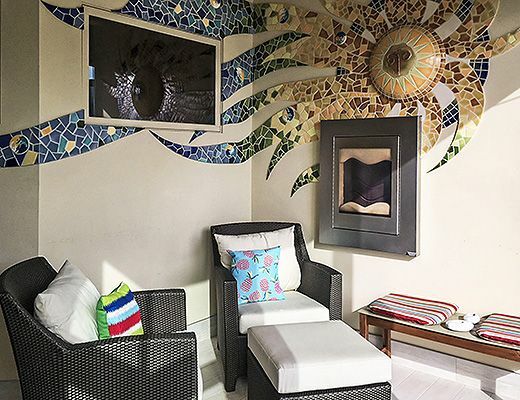 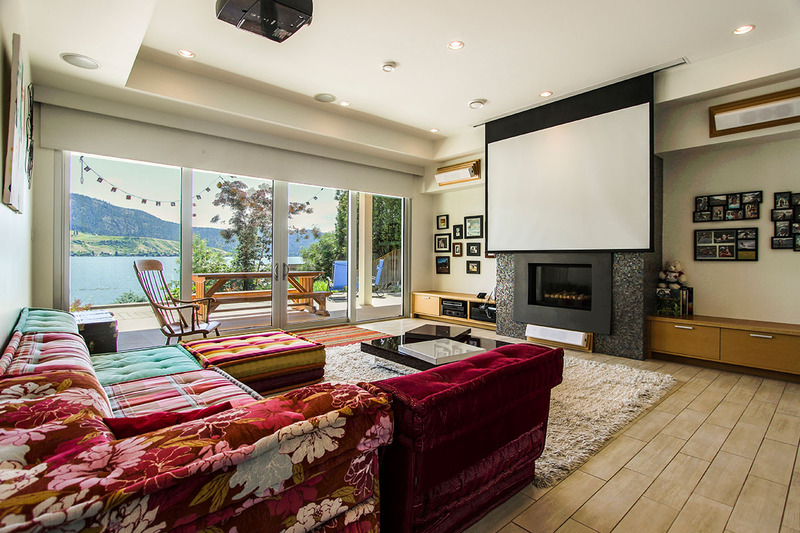 This property features indoor and outdoor speakers throughout, creating a complete vacation environment. 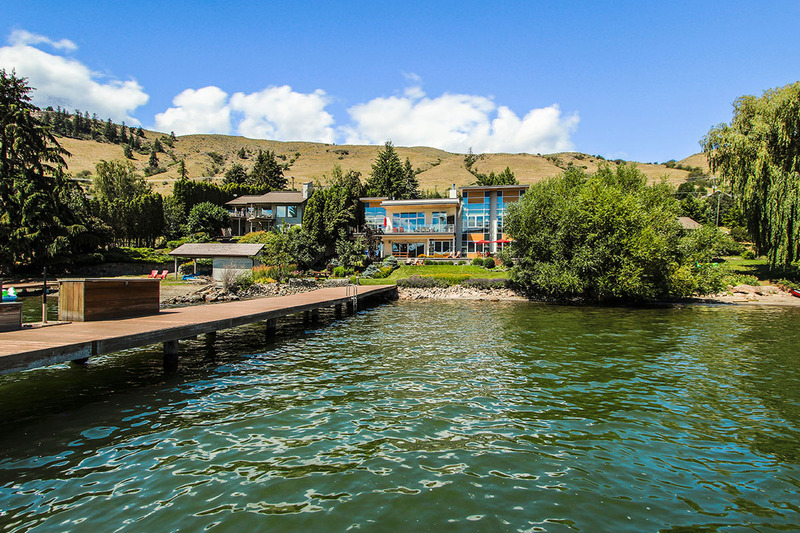 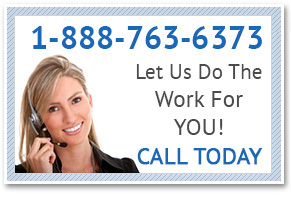 Enjoy your vacation to the fullest this summer with the help of The White House. 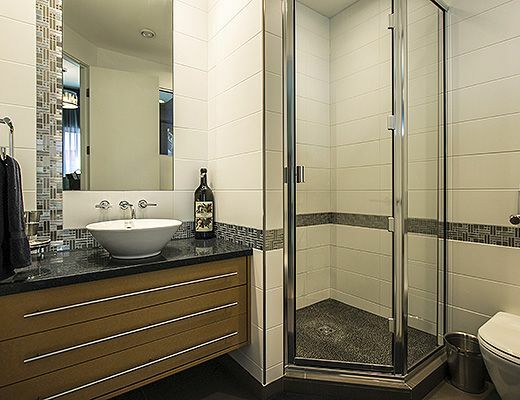 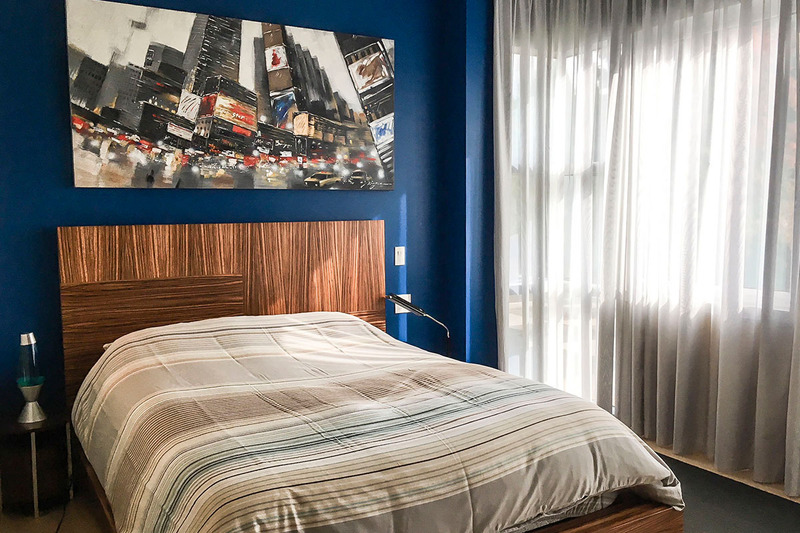 Special Note: *A $300 cleaning fee applies to all stays.